An 18-year-old man has been arrested on suspicion of murdering a man who died after an alleged attack at a house in Lincolnshire. Jordan O'Brien died in hospital after the incident in Scampton Way, Gainsborough, on 27 March. Two other men held on suspicion of murder, aged 21 and 27, have been released on bail. 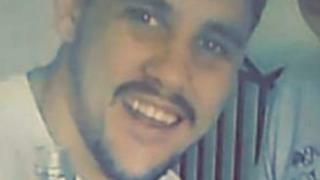 Kieron Walker, 22, of Auckley, Doncaster, has been charged with murder and possession of a machete in public. Follow BBC East Yorkshire and Lincolnshire on Facebook, Twitter, and Instagram. Send your story ideas to yorkslincs.news@bbc.co.uk.